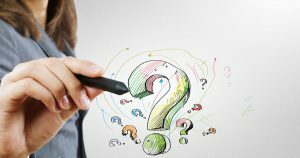 Can I Claim Head of Household Status After a Divorce? Divorce is expensive, so anything you can save on your taxes can help you rebuild your new post-divorce life. By using the head of household status, you can lower the amount of your taxable income, which can lead to a lower tax bill or a bigger refund. There is flexibility within each of these categories, so let’s review them each in more detail. As long as you are officially divorced by the end of the prior year, you will meet this qualification. However, even if you are still legally married to your spouse, you may still meet the IRS’s definition of “unmarried” for the purposes of claiming head of household status. If your spouse did not live with you for at least six months of the past year, you may be able to meet the unmarried status requirement. Since many couples separate before getting divorced, it is worth working with a Certified Public Accountant to see if you might still meet this qualification. Next, you have to be able to prove that you pay for more than half of all of your household expenses. This doesn’t just include paying more than half of your mortgage or rent. It also means paying for more than half of your grocery bills, utility bills, and general repairs around the house. If you receive some financial help from your ex or even your parents, this is fine as long as you are still paying for the majority of the expenses from your own income or alimony. The qualifying dependent is probably the most flexible category. If you have at least one child under the age of 19 (or who is under 24 but is a full-time student) and who lived with you for more than half of the year in the prior year, you meet this qualification. That means that only one parent can claim head of household status, because a child can’t live over half of the year with both parents when they are separated. The definition of a child is flexible. This can mean a biological child, adopted child, step-child, foster child, grandchild, great-grandchild, sibling, or half sibling as long as the child meets the age requirements, is younger than you, and is not paying for more than half of his or her own living expenses. Having a child living in your home isn’t the only way you can qualify as a head of household. A “qualifying person,” can also be a family member who lives with you and depends on you for support. For example, if your mother moved in with you last year, she may be a qualifying person. Just as with a child, the qualifying person must have lived in your home for over half the year, and you must pay for more than half of their expenses. So, if your mother moves in but pays you rent and buys all of her own groceries, clothes, etc., then she will likely not meet the definition of a qualifying person. Almost any family member can potentially be a qualifying person, including your mother, father, stepmother, stepfather, uncle, aunt, niece, nephew, mother-in-law, father-in-law, sister-in-law, brother-in-law, etc. If you think that you might qualify as a head of household, then we encourage you to consult with a Certified Public Accountant to be sure. This is a good idea anyway, especially if this is the first year you will be filing as a single individual after your divorce, since you may qualify for other new deductions. If you are still considering a divorce, then this knowledge can help you begin arranging your life so that you have a better chance of meeting the head of household qualification next year. 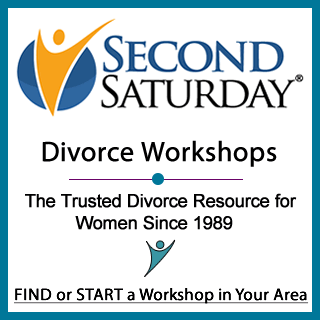 You should also consider signing up for the next Second Saturday Divorce Workshop in your area so that you can be prepared for all that divorce will throw at you.